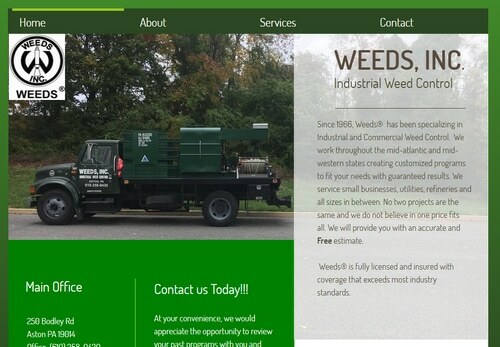 Weeds.com domain name owner alleges that weed control company committed fraud to get trademark. Weeds, Inc. has already been found to have engaged in reverse domain name hijacking for Weeds.com. The domain owner has filed an appeal to cancel Weeds, Inc’s trademarks. Innovation HQ has filed with the Trademark Trial and Appeal Board at the U.S. Patent and Trademark Office to cancel trademarks for “weeds” registered to Weeds, Inc. The move comes after Weeds, Inc. was found guilty of reverse domain name hijacking in a cybersquatting dispute at World Intellectual Property Organization for the domain Weeds.com. Weeds, Inc. also filed a cybersquatting lawsuit to try to get the domain name. Innovation HQ is fighting back. In counterclaims made in the lawsuit, it asks for damages for reverse domain name hijacking and for cancellation of the trademarks. Earlier this month it also filed two cases with USPTO to cancel Weeds, Inc.’s marks. Innovation HQ alleges that Weeds, Inc. committed fraud on the USPTO when it applied for trademark registration 3308883. After the examining attorney for the USPTO sent an office action noting that “Weeds” was merely descriptive of Weeds, Inc.’s service, Weeds Inc. referred to a court case in which it said a federal court agreed that the mark “Weeds” was suggestive and not merely descriptive. In its request for cancellation, Innovation HQ says that the federal court did not make any such legal conclusion and that Weeds, Inc. committed fraud on the trademark office to suggest otherwise. The other cancellation request is for a trademark application that Weeds, Inc. made earlier this year. Innovation HQ says that it’s generic and merely descriptive. I wonder who is behind Innovation HQ. I have seen that company name in a very large number of domains (back when WHOIS was public). In my humble opinion, Weeds, Inc. is a weed that needs to be removed in all this.